Titanium Grade 5 Bolts and Gr. 5 Ti Screws Manufacturer. Gr 5 Titanium Threaded Rod Supplier, ASTM B348 Ti Grade 5 Washer Exporter in Mumbai. 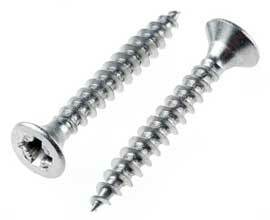 Regal Sales Corporation is one of the leading manufacturer of Grade 5 Titanium Fasteners In India. Titanium Gr. 5 Screws are high-alloy steels. Gr 5 Titanium Threaded Rod are available in four groups that include martensitic, austenitic, ferritic and precipitation-hardened steels. Type Titanium Grade 5 Stud Bolts contain larger amounts of nickel in comparison with other steels and thus have good corrosion resistance. Titanium Gr 5 Eye Bolts contain about 90% of titanium. Grade 5 Titanium Threaded Rod is a hastelloy whose design enables combining improved resistance to pitting, high strength, stress corrosion, crevice corrosion and cracking and Titanium Gr 5 Double Ended Stud is mostly used in the fasteners family. Titanium Gr 5 Double Ended Stud contains stainless steel resists sulfide stress corrosion and chloride environments. The carbon ranges are 0.10% maximum for the Titanium Gr 5 Carriage Bolts. We are most versatile and widely Supplier of Gr 5 Titanium Self Locking Nuts. The benefits of our Titanium Grade 5 Fasteners include a long service life that will retain an attractive, clean finish with low maintenance cost, therefore contact us. Titanium Gr. 5 Studs Price List, Grade 5 Titanium Set Screws Specifications. ASME SB348 Ti DIN 3.7165 Punched Washer Dimensions, Titanium UNS R56400 Hex Bolts Stockist in India. #2 - - - 3/32" 1/4" 0.020"
#4 - - - 1/8" 5/16" 0.032"
#6 - - - 5/32" 3/8" 0.049"
#8 - - - 3/16" 7/16" 0.049"
#10 - - - 7/32" 1/2" 0.049"
#12 - - - 1/4" 9/16" 0.065"
1/4" 5/16" 0.734" 0.065" 9/32" 5/8" 0.065"
5/16" 3/8" 7/8" 0.083" 11/32" 11/16" 0.065"
3/8" 7/16" 1" 0.083" 13/32" 13/16" 0.065"
7/16" 1/2" 1-1/4" 0.083" 15/32" 15/16" 0.065"
1/2" 9/16" 1-3/8" 0.109" 17/32" 1-1/16" 0.095"
9/16" 5/8" 1-15/32" 0.109" 19/32" 1-5/32" 0.095"
5/8" 11/16" 1-3/4" 0.134" 21/32" 1-5/16" 0.095"
3/4" 13/16" 2" 0.148" 13/16" 1-15/32" 0.134"
7/8" 15/16" 2-1/4" 0.165" 15/16" 1-3/4" 0.134"
1" 1-1/16" 2-1/2" 0.165" 1-1/16" 2" 0.134"